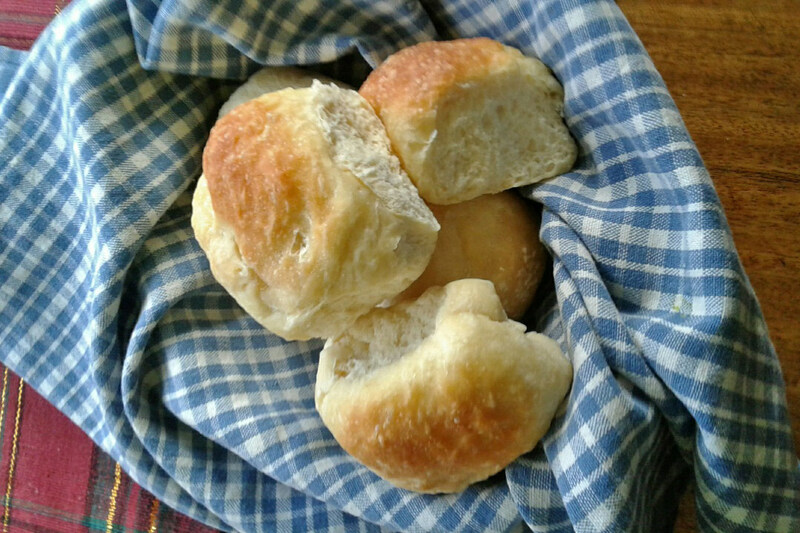 EZ DOH Blog & Recipes: A New Family Tradition: Making Dinner Rolls Together! A New Family Tradition: Making Dinner Rolls Together! One of the best things about the EZ DOH mixer is that it is safe and fun for children and people of all ability levels to use. It enables almost anyone to actively participate in contributing to the preparation of your holiday dinner (or brunch), and it allows young and not-so-young family members to create fun recipes together. Dinner rolls are particularly easy to make with our EZ DOH, and here's a recipe for making a soft, light dinner roll that is not only a crowd-pleaser at mealtime, but is excellent for making little sandwiches from your leftover ham or turkey. And, they freeze and reheat well. Combine all the dry ingredients in the EZ DOH container, using a whisk to mix everything evenly. Beat the egg first, then add it to the container along with the water, milk, and olive oil. Start turning your crank handle (most young people enjoy doing this) and in about 4 minutes you will have transformed these ingredients into a nice dough. Remove the side knobs from the EZ DOH, and wipe down the dough hook as needed when you remove the mixer assembly from the container. Take out the dough, and spray some cooking spray into the container (or just coat the inside of the container with some olive oil). Note: coating your hands with flour before handling the dough helps minimize the dough sticking to your hands. Form the dough into a round shape and place it back into the container. Cover with a towel and let the dough rise for about an hour in a warm place, which will allow it to nearly double in size. After the dough has risen, 'punch' it down (again, fun for youngsters). Divide the dough into either 12 (for larger rolls) or 16 (for average size) equal size pieces and shape them by hand before putting them into a greased muffin tin. Allow the dough to rise again for about 30 minutes before baking in a preheated oven at 375 degrees for 10 -15 minutes (when the tops are golden brown and/or when the internal temperature is 200 - 205 degrees F, remove them from the oven and serve them while they're still nice and warm). Kids will learn a lot from the whole process. They learn to measure, handle fractions, organize, and keep track of each step as they follow the directions. While the dough is rising, you can research together how the yeast works and read about the countless ways to make all sorts of rolls and breads, as well as fun things like pretzels and pizza dough. The whole process allows different generations to have fun together and 'make bread together, break bread together'.